Do you want to recover your important files today for free? Free download the full version of EASEUS Data Recovery Wizard 4.3.6 – The professional data recovery software to recover your lost data for Windows 2000/2003/XP/Vista! 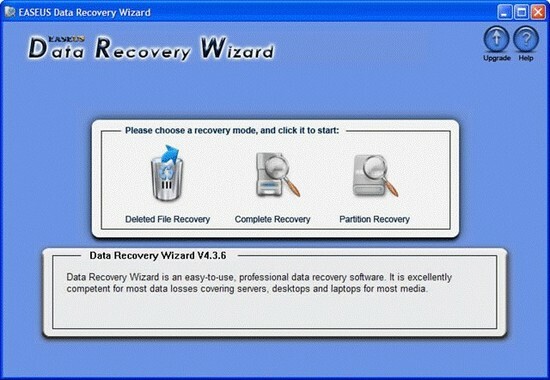 EASEUS Data Recovery Wizard, is an advanced Data Recovery Software to do Format Recovery, Partition Recovery, and Recover Deleted Files emptied from the Recycle Bin or restore data lost due to software crash, virus attack, etc. It offers users with quick scan, easy and safe data recovery. Recover office documents, photos, images, videos, music, email, etc.